North Star is an enchanting Christmas arrangement, sure to bring a wonderful smile to your recipient this Christmas. With snow white chrysanthemums, beautiful roses and festive winter berries; this really is a delightful gift to send this Christmas. This arrangement comes with a FREE box of fine Belgian Chocolates! 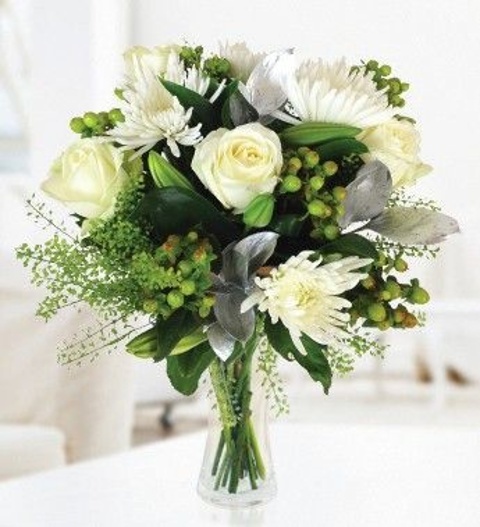 Our North Star Christmas bouquet is available for UK next day delivery. Chocolates may contain nuts.